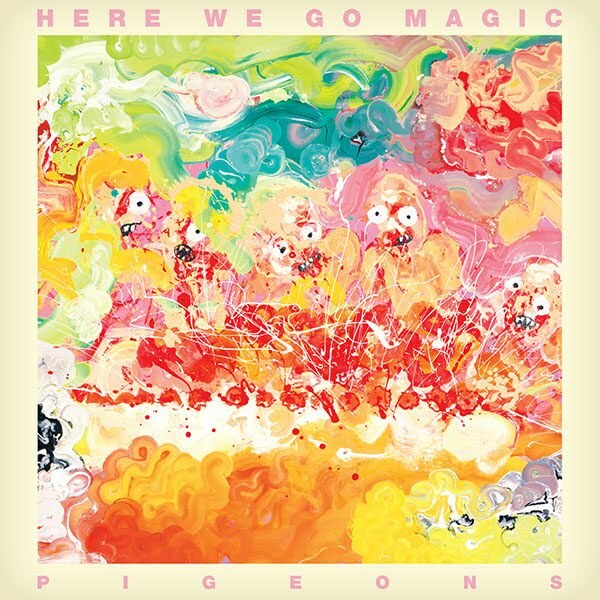 With Pigeons, Luke Temple and company bring another upbeat, but low-key set of pseudo-psychedelic songs loaded with looping beats and repetitive backing tones to the table. These are bouncy anthems with the sprinkled in flavors of Arcade Fire, Vampire Weekend and healthy dose of dance pacing that make each song desirable enough to tap your feet and thick enough to be a rainstorm of music surrounding you. The songs are retro in a dignified, subtle way (much like Belle and Sebastian on Dear Catastrophe Waitress). It's clear that Temple has latched onto the '60s - '70s folk rock genre, and infused enough disco-like elements to keep the pace quick, and none of it, luckily, feels forced or too on point. Less is more here. Specifically, following the two fun and bounding opening tracks "Hibernation" and "Collector," the album drops back for a seriously excellent song that holds itself in a lamentative state of dreaminess called "Casual." On "Casual" the lyrics repeat "It's casual, not heartbreaking," capturing that hopeful, if often misguided idea that relationships are small things that can be viewed from a safe external rampart, even when you're in the thick of them. The music, though, is more sad, tired, and reflecting the internal struggle between love and labels. I could go out on a limb and say that I see a lot of mid-period Serge Gainsbourg in Temple's Here We Go Magic, because while the music lacks the blatant sexuality, it does flux successfully between genres with such ease that you nearly don't notice. "Surprise" is another example of this excellent album succeeding through a less is more policy. It's a whirling, dynamic track that fills pretty basic electric-folk licks with whirring feedback and synthesizer mischief. There's just enough happening here to create a mood, one that is optimistic, but perhaps addled with optimism. Pigeons brings with it a sense of calm. This is music to get high to, or at least to imagine a circle of friends seated on the floor around a turntable by candlelight. And each track dials the dreaminess up a notch, making a certain disorientation cradle you into a sort of waking slumber. But, everything picks back up, and Temple brings the quick pacing back to the forefront with the excellent "Old World United." And then the Radiohead-esque "F.F.A.P." feels like something lost from the Ok Computer - Kid A era. The final 4 tracks on the disc are arguably the best and most complete; lush and charming. 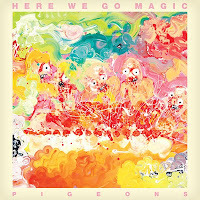 All in all, for an album that skips between happiness and sadness, waking and dreaming, Pigeons is always compelling. This is an album that transcends time and genre and is easily one of the most interesting of 2010.